– Lift, ideal for carrying people in wheelchairs, with buttons at a convenient height and an audible signal to indicate arrival at floors. 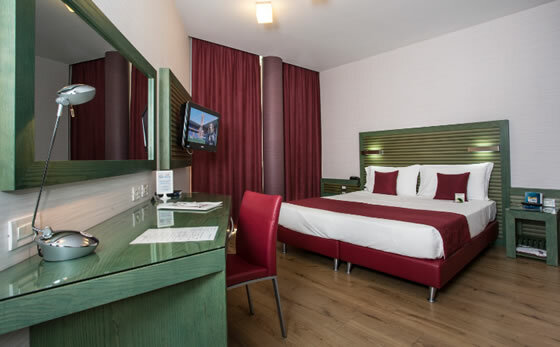 – Special rooms with inward-opening doors, large beds and space around the bed for easy movement of wheelchairs, extra wide doors and switches, buttons and sockets at convenient height. – Bathrooms ideally suited to the needs of the disabled, with shower base flush with floor and wash-basin with clear space underneath. From time of booking onwards, you can add some extra luxuries to your stay, to give you or your clients a very special welcome. Check-in is generally after 2 p.m. If you plan to arrive early (but not before 8.00 in the morning) you can leave your bags in a left luggage area until your room is ready. Rooms must be vacated before 11.00 a.m., but you can ask to leave your bags in the left luggage area until the time of your choice. 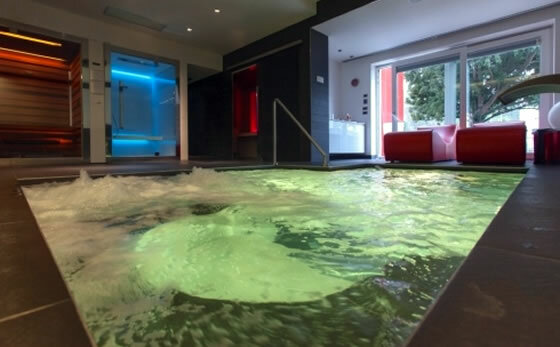 Villanesi Spa in Ivrea is a pleasant oasis of wellbeing and relaxation just a few minutes’ drive from the hotel: a place where you can enjoy real inner peace, with a range of wellness courses, massages and avant-garde treatments. 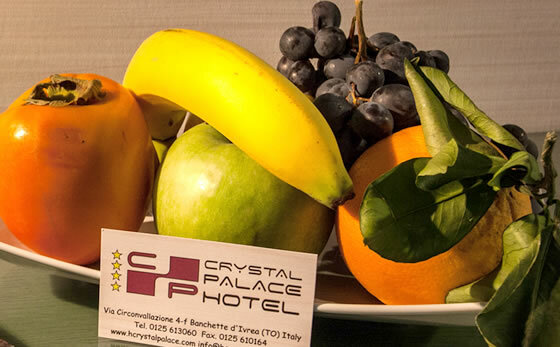 After many hours of work and stress, or even after a day out exploring Ivrea, you can certainly benefit from a little pampering. The centre is open late, so you can also visit in the evening.